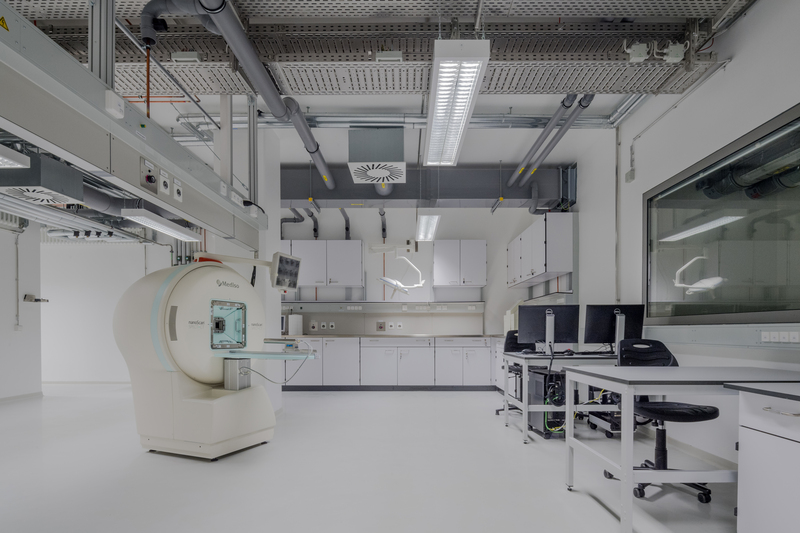 Main laboratory of the Core Facility “Imaging” in the Central Institute for Translational Cancer Research of the Technical University of Munich (TranslaTUM). It is equipped for the preparation and implementation of imaging examinations with radiotracers. In the future it will be possible to do there many different imaging techniques in parallel: SPECT/CT (shown on the picture, already installed in the middle of the room,) PET/CT, MSOT-US and FMT-XCT.